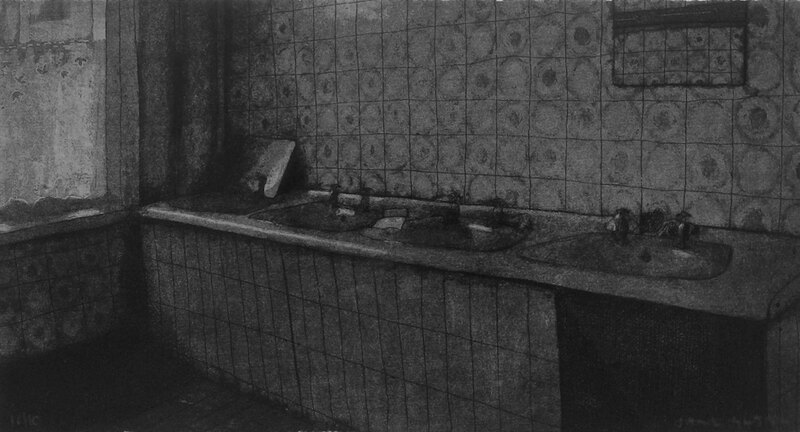 The genesis for Glynn’s series of copperplate etchings & aquatints ‘Empty Spaces, Human Traces’ was a visit to St. Ita’s Psychiatric Hospital at Portrane, Co. Dublin in 2012 to document the decommissioning of the hospital before its expected closure in 2013 or 2014. Glynn was inspired by the building’s narratives of past lives that seemed to seep out of every crevice. St. Ita’s Hospital, built in 1896, was the largest capital investment that the British empire made in Ireland. Located on a peninsula and surrounded by a 300-acre farm, this collection of red-brick buildings included two churches, a bakery, ballroom, butcher, hairdresser, tailer, shoe repairer, fire station, morgue and graveyard and was home to over 2,000 patients. St. Ita’s is in a state of transition: the patients have now moved out and within the building itself areas are succumbing to closure, abandonment and decay. Jane Glynn is an Irish artist who graduated with a Masters in Fine Art at the National College of Art & Design (NCAD) this year. She graduated from NCAD in 2014 with a BFA (Print). Liminal space is the cornerstone of Glynn’s work. Two projects ‘Empty Spaces, Human Traces’ (2013) and ‘Transition’ (2014) focused on buildings in transition―places that are floating between functions, drifting towards abandonment and decay, hovering between ownership old and new. Glynn has a fascination with the remnants of past lives – both physical and psychological – that remain in these buildings long after their inhabitants have gone. 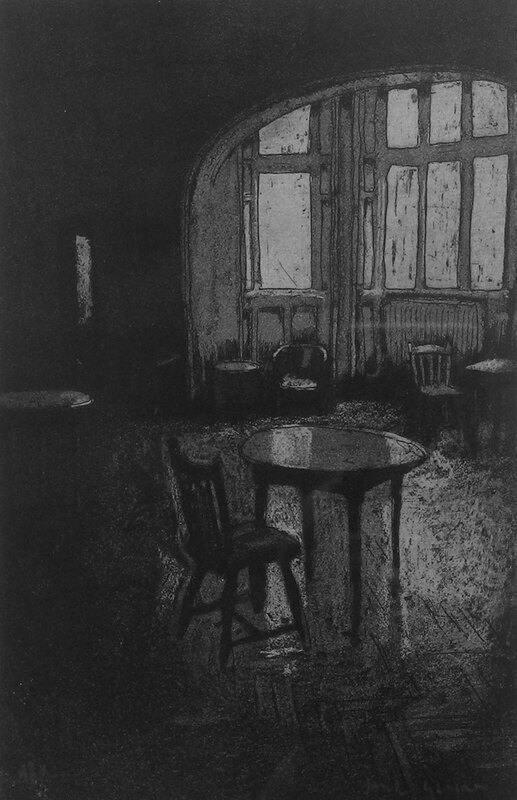 Through intaglio printmaking and photography, Glynn engages with these atmospheric spaces and their sense of fleeting temporality. Her work has been exhibited at the Royal Academy in London, the Royal Hibernian Academy, Dublin and was chosen for the inaugural exhibition ‘The Royal Academy of Arts in North Yorkshire’ exhibition at the Zillah Bell Galleries in Thirsk, Yorkshire in 2014. She is currently holds the title ‘Printmaker of the Year 2015’ bestowed by Printfest, the only artist-led printmaking festival in the United Kingdom.